Artist Wendy Red Star works across disciplines to explore the intersections of Native American ideologies and colonialist structures, both historically and in contemporary society. 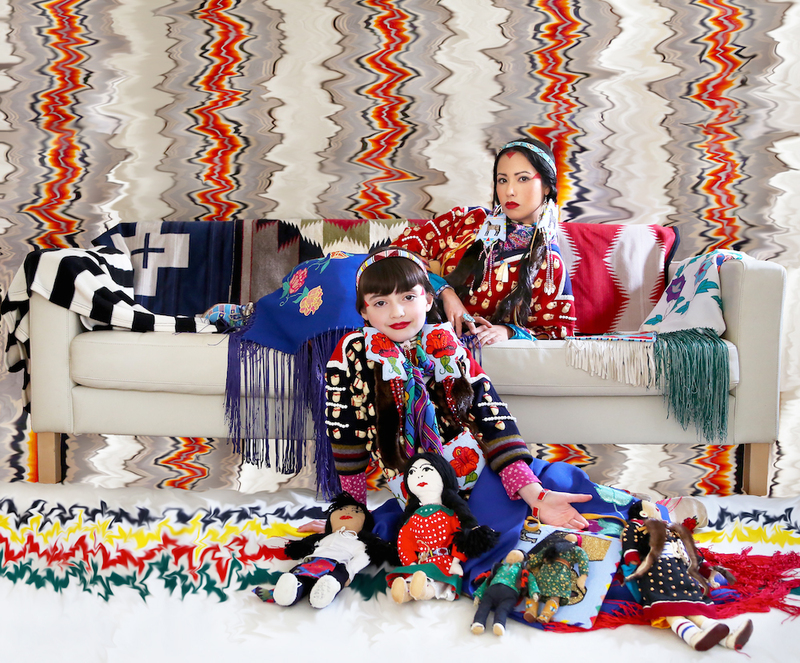 Raised on the Apsáalooke (Crow) reservation in Montana, Red Star’s work is informed both by her cultural heritage and her engagement with many forms of creative expression, including photography, sculpture, video, fiber arts, and performance. An avid researcher of archives and historical narratives, Red Star seeks to incorporate and recast her research, offering new and unexpected perspectives in work that is at once inquisitive, witty and unsettling. Intergenerational collaborative work is integral to her practice, along with creating a forum for the expression of Native women’s voices in contemporary art. Red Star has exhibited in the United States and abroad at venues including the Metropolitan Museum of Art, Fondation Cartier pour l’ Art Contemporain, Domaine de Kerguéhennec, Portland Art Museum, Hood Art Museum, St. Louis Art Museum, and the Minneapolis Institute of Art, among others. She served a visiting lecturer at institutions including Yale University, the Figge Art Museum, the Banff Centre, National Gallery of Victoria in Melbourne, Dartmouth College, CalArts, Flagler College, Fairhaven College, and I.D.E.A. Space in Colorado Springs. In 2015, Red Star was awarded an Emerging Artist Grant from the Joan Mitchell Foundation. 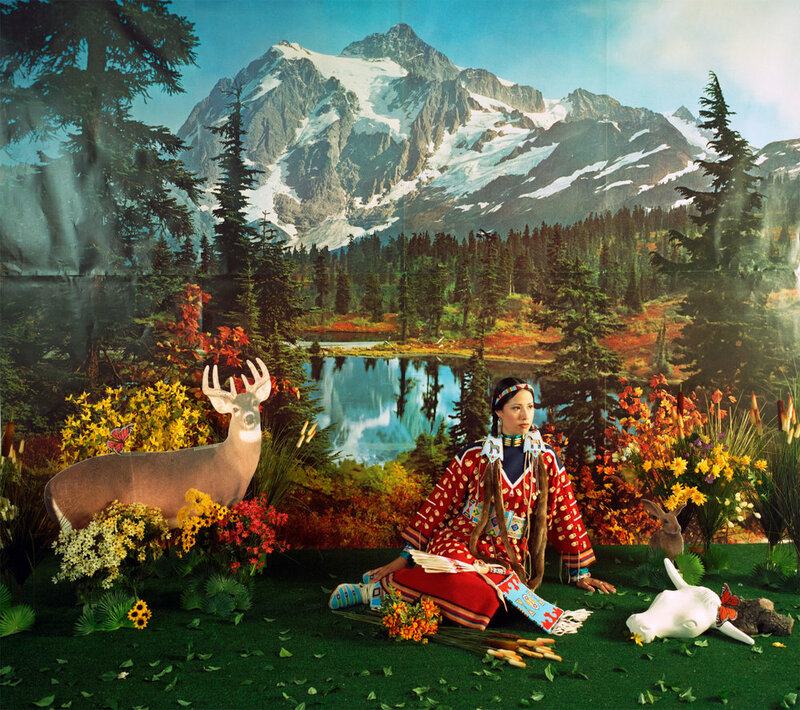 In 2016, she participated in Contemporary Native Photographers and the Edward Curtis Legacy at the Portland Art Museum, and recently mounted a solo exhibition as part of the museum’s APEX series. Red Star holds a BFA from Montana State University, Bozeman, and an MFA in sculpture from University of California, Los Angeles. She lives and works in Portland, OR.